Life has weird ways of interfering with the things we want to do. Roadblocks happen all the time. Sometimes they seem to be everywhere, sapping energy, joy, and inspiration. Ugh. That’s a bleak start to a blog isn’t it? But it’s kind of how the last week or so has been. Lots of effort (or maybe not nearly enough?) and not much to show for it. This first paragraph is even a stretch. I’m saying I’m sorry now because I know it’s not my best. So what can we do when are just – blah? Atsushi Nakajima referenced straight from the Bungou Stray Dogs manga! This next day was different though. As icky blah as I was feeling the following evening (my only time to work on any art during the week), I did a little drawing. 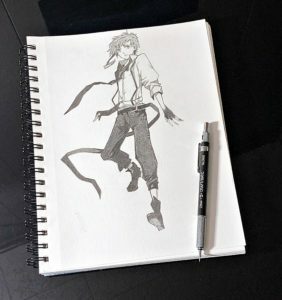 It was just a bit of work on a drawing of Atsushi Nakajima (Bungou Stray Dogs) I started the week before, but it was something! And I think that’s the key to these types of roadblocks – or at least part of it. Something is better than nothing. A squiggle, a few lines, a small start – something that could be built on later. Or not. But it’s something! 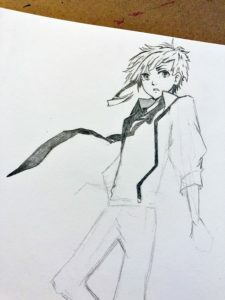 Got a bit more done on Atsushi. One more sitting should do it! There’s something important to remember, though, and it deals with part two. We all have those days where stuff doesn’t get done for one reason or another. Sometimes being tired is a perfectly ok excuse! Feeling bad about it doesn’t change anything. Guilt doesn’t make roadblocks go away – moving on does. It can start with a small bit of progress on a tough day or by taking a little time to check out mentally. Neither one of those things is wrong! The blah isn’t totally gone, but taking a day off from work definitely helped. Just thinking about having the better part of a day with the house to myself was super relaxing! The night before I worked on a bunch of jewelry and poured a painting and still had a little time to play some video games with my kid. The day off is being spent working on whatever I feel like working on because it’s right now and the first thing I’m doing is finishing this blog post. 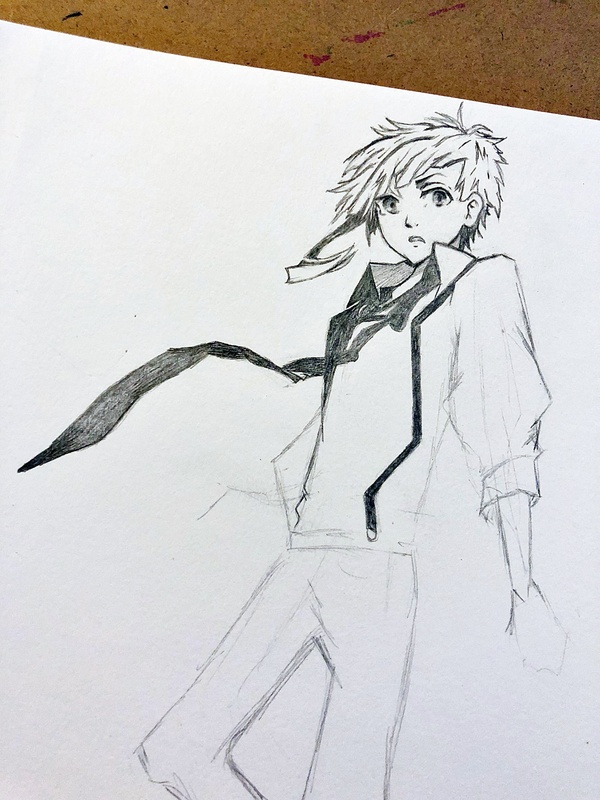 I plan to finish Atsushi later this morning, but I’m not going to beat myself up if I don’t. Maybe I’ll take a nap or do a little painting. Whatever happens after I hit publish, I’m moving on from those roadblocks. P.S. If you want to see my stuff as soon as it’s done, check out my Twitter. Thanks! You’re the best! 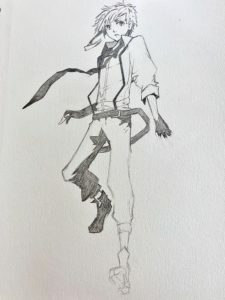 Atsushi Nakajima is all done, but this won’t be the last time I draw him!